After 18 years of unblemished service with one of the UK’s largest airlines, 16 as a Commander, Captain Mike Simkins was faced with a dilemma. The dilemma is a common one for many pilots in todays’ airline industry. Do they choose career security over passenger and crew safety? There was only one safe and legal choice to be made. The following are extracts taken directly from the full Tribunal Judgment which is in the public domain. For the avoidance of doubt, the statements and findings of fact contained within are solely attributable to the Judge and members of Tribunal. The only avenue open to clear a professional reputation built over nearly 30 years was to take legal action. When an airline pilot refuses to commit a criminal act by flying at a level of fatigue equivalent to that of a drunk driver, they are correctly, “just doing their job” in protecting the lives of his/her passengers and fellow crew. “A person must not act as a member of the crew of an aircraft to which this article applies if they know or suspect that they are suffering from or, having regard to the circumstances of the flight to be undertaken, are likely to suffer from, such fatigue as may endanger the safety of the aircraft or of its occupants”. “The claimant has satisfied us that, by raising the flight time issue and the fatigue issue, he brought to his employer’s attention by reasonable means, circumstances connected with his work which he reasonably believed were harmful or potentially harmful to health or safety. The limits on flight time and not flying when fatigued are clearly matters related to safety which, if breached, are potentially harmful to the health and safety of passengers and crew. For free access to the key points, and to read the full Judgement related to the successful action, simply enter your email below. 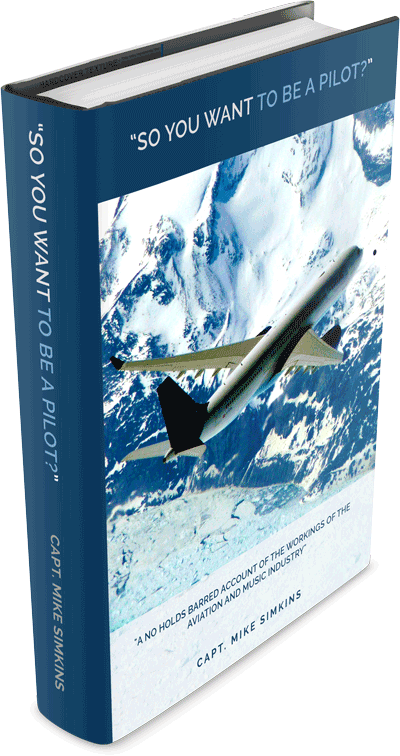 The forthcoming book is based on a career spanning nearly thirty years, racking up over 13,000 flying hours operating all over the world as a Captain on both the Airbus 330 and Boeing 767. On two previous occasions, serious situations were highlighted to the authorities, both operational failures and policies that, due to first hand experience, were considered to be life threatening. Sadly, neither were thoroughly investigated, nor had the required action been taken that would have prevented two subsequent separate fatal air-crashes. In the forthcoming book, the author’s life and experiences are documented, from successfully transferring from musician to aviator, without any legal training, facing the might of a major airline’s legal muscle. Given the unequivocal judgement in his favour, he is hopeful that his employer and the Regulator will take all the appropriate actions required to ensure that never again will any pilot face the dilemma of having to choose career over passenger and crew safety.